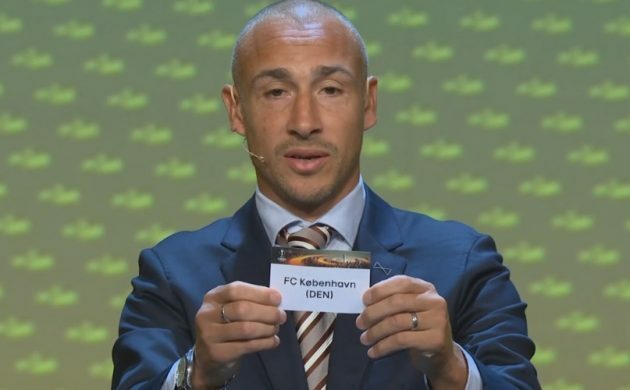 After just missing out on the Champions League group stage on Wednesday night, FC Copenhagen can instead look forward to a reasonably manageable group in the Europa League. The Lions were top seeds in the draw and ended up in Group F along with Lokomotiv Moscow (Russia) Sheriff Tiraspol (Moldova) and Zlin (Czech Republic). The fixtures have yet to be finalised, but FCK will play their first game on September 14. FCK will be the only Danish team in Europe this year following FC Midtjylland’s 3-4 aggregate loss to Apollon Limassol last night. Just weeks after finishing second in the 2017 UEFA Women’s Football Championship, the Danish team has been rocked by the news that head coach Nils Nielsen has decided to step down. Nielsen, a nominee for the FIFA women’s coach of the year award, coached the team for the past four years and his contract was due to expire in January 2018. Adding insult to injury, the team’s star performer Pernille Harder finished runner-up in the women’s European Footballer of the Year Award to Dutch player Lieke Martens. Young Danish defender Joachim Andersen is reportedly on the brink of being sold by his Dutch club Twente to Italian outfit Sampdoria. The 21-year-old is undertaking his medical in Genoa today and is expected to sign for around 15 million kroner. The Dane has played for Twente since joining from FC Midtjylland in 2013. Elsewhere, Werder Bremen is also reported to be on the hunt for FCM’s Nigerian striker Paul Onuachu. Denmark’s tennis darling Caroline Wozniacki is seeded fifth for the US Open. The tournament, which will run from Monday until September 10, has Karolina Pliskova as the top seed, followed by Simona Halep, Garbine Muguruza, Elina Svitolina and Wozniacki. Wozniacki, who has yet to win a grand slam, reached the semi-finals of the US Open last year. Danish golf veteran Thomas Bjørn was surprised by fans during the first round of the ongoing Made in Denmark, which is his 500th European Tour event. Bjørn, who is a huge Liverpool fan, was serenaded by fans who sang ‘You’ll Never Walk Alone’ while wearing masks with the golfer’s face printed on them. “I’m not sure I want to see that many faces of myself in the future again,” said Bjørn. “It was just a day I’ll remember for the rest of my life.” See some footage below.